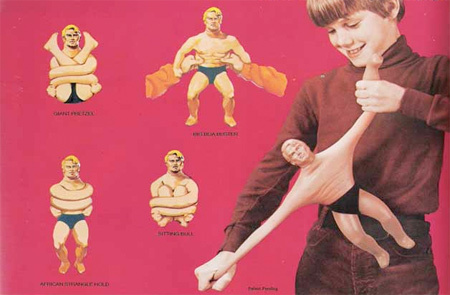 From the 1970’s-1990’s, Stretch Armstrong was a fairly popular toy in the boys market. The line has seen numerous revisions and changes, but the basic concept of a stretchy strongman remained throughout. Now it appears that Hasbro is readying a new line based on this once popular brand. Some new listings have popped up at the United States Patent and Trademark Office.Thanks to our good friend NIBMRatchet from TFW2005, we can now see those new trademark applications. They run from new toys, to clothing lines, luggage, beach towels, video games and more. Click the headline of the story to see what’s incoming. Warning, this is a massive wall of text, but there’s a ton of info to comb over. That Brother Warth is *definately* going in my GL Classics display. Must get! Very tempting on Lantern Natu, as well.